“The palest ink is better than the best memory,” declares the Chinese proverb. 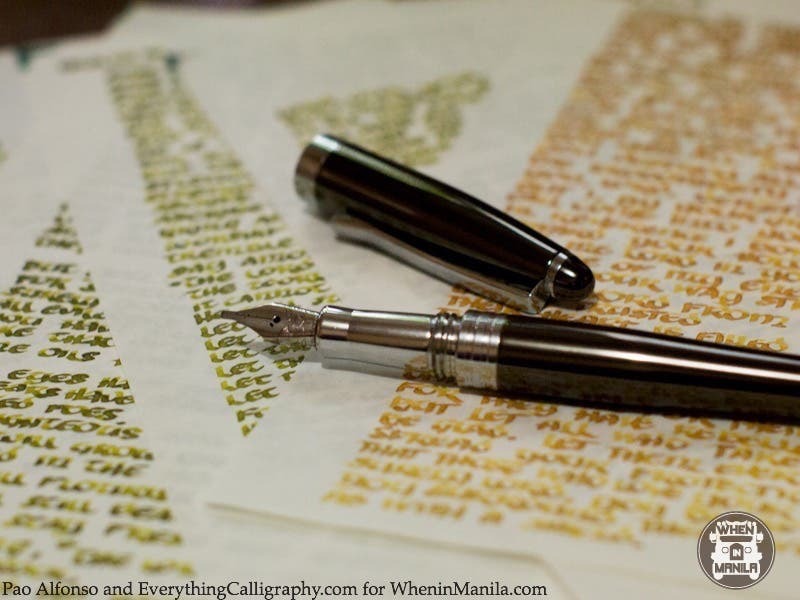 Everything Calligraphy (EC), an online writing store based in the Philippines, takes this adage quite seriously. I sat down with Jillian Tan and Keshia Tolentino, general manager and digital manager of EC respectively. 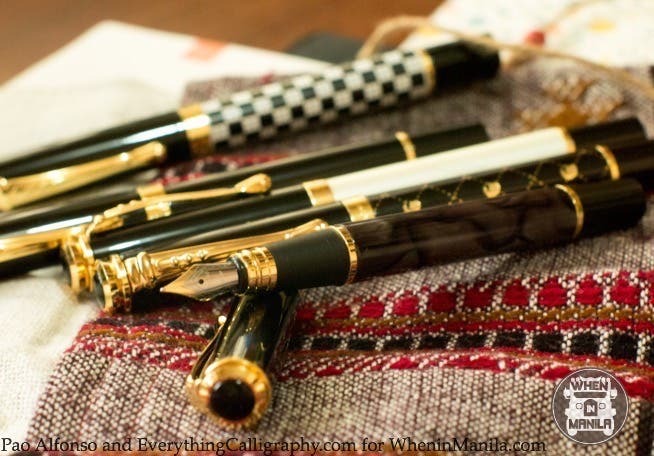 Below are the five main reasons they gave about why fountain pens (FPs) are an absolute necessity in today’s technology-driven world and why these century-old contraptions are here to stay. Don’t stop reading after the last reason because When In Manila just scored one sweet EC deal for all of you. 5. Fountain pens are cheaper than you think they are. Would you believe me if I told you that the first fountain pen I bought was under 400 bucks? This was the question Jillian asked me when I first walked into her office. 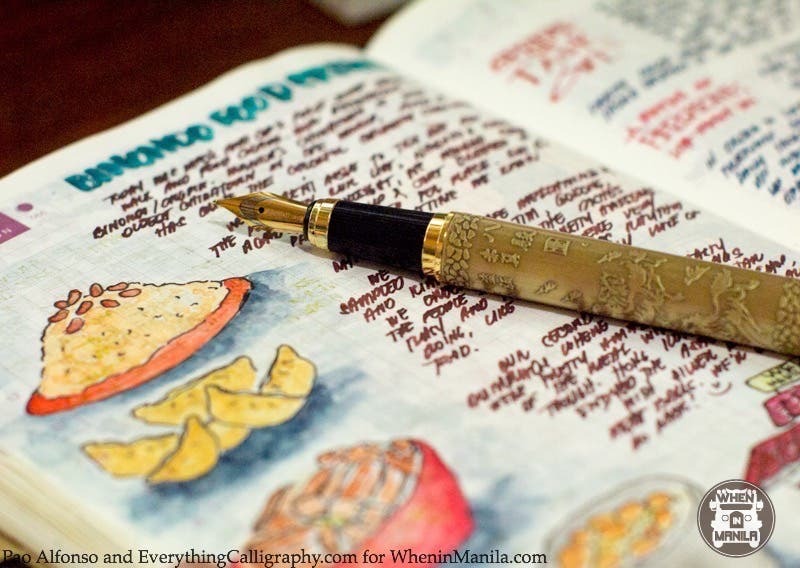 She showed me one of EC’s bestselling pens, the sleek and classic looking Jinhao500, which retails for P390. 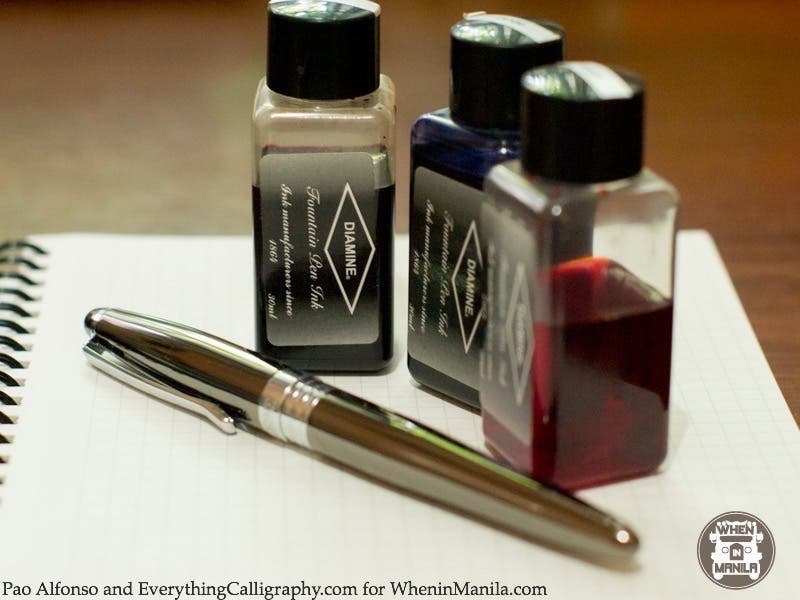 She then proceeded to present over 60 different-colored Diamine inks in 30ml bottles that only cost P250 each. According to Keshia, “buying these two together allow you to refill your pen over 30 times.” On the other hand, 30 gel pens can cost you up to P2000. People often associate fountain pens with luxury writing brands like Montblanc, but most everyday pen manufacturers such as Pilot Japan and Jinhao actually make quality fountain pens that won’t break the bank. I’ve been using the Jinhao 500 for the past six days and I can say that it has definitely kept up with my daily writing needs. More importantly, I still haven’t had to refill my pen. It’s really good value for money. 4. 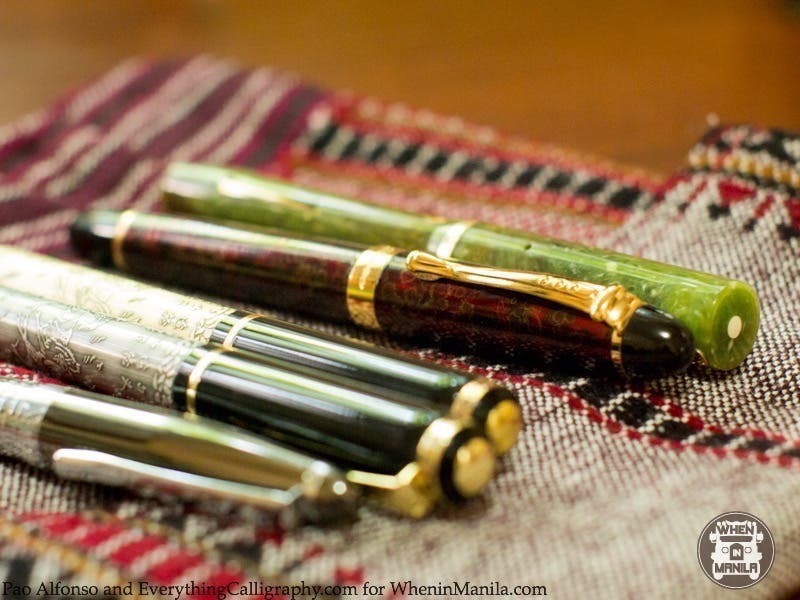 Fountain pens help save the environment. How many pens have you thrown away over the years? Plastic ballpens have sadly become the epitome of an increasingly disposable-oriented economy and lifestyle. Even the refills, which are meant to be more environmentally friendly, are made of plastic. “It’s unimaginable how much plastic we’ve thrown away because we were simply not told that bottled inks still existed,” lamented Jillian. A person could live his entire lifetime using one pen and bottled ink. I couldn’t help but wonder about all the good it will do to the environment if people all over the world collectively decide to make the switch. 3. Your brain benefits from handwriting. As more and more people go digital, studies have been commissioned to determine the effect of physical handwriting to the brain. A New York Times article concluded that physical handwriting is irreplaceable for inspiring certain activities in your brain. Writing with a pen and paper has also been scientifically proven to improve cognitive function. 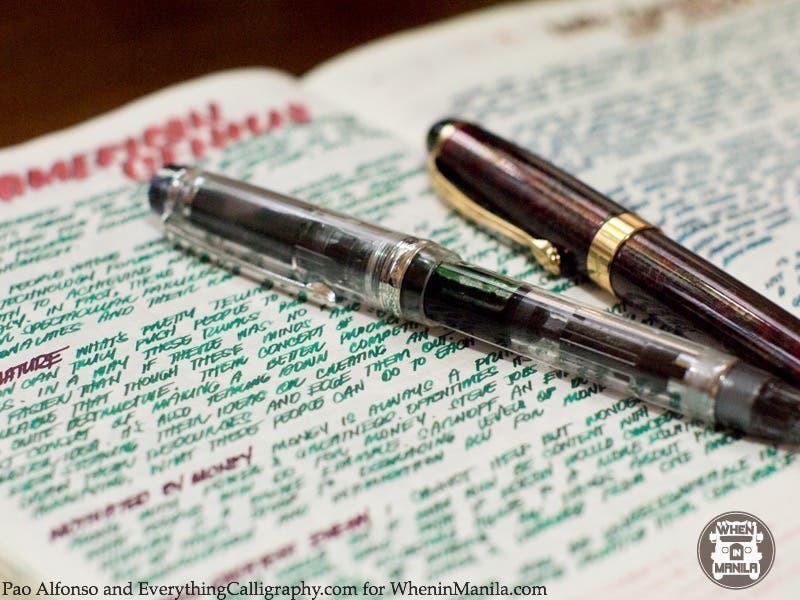 Now you might ask why a fountain pen when a ballpen will do? The answer is coming right up. 2. Writing with a fountain pen is way more comfortable than with a ballpen. Over the years, people have grown accustomed to pressing hard on the pen to make sure that the ink flows onto the paper. On the contrary, using a fountain pen requires the softest of touch. The nib smoothly glides on the paper as it makes the distinctive pleasant sound of an iridium point touching the sheet. Most fountain pens also feature a balanced weight and dimension that enable the user to hold it for a longer period of time. 1. 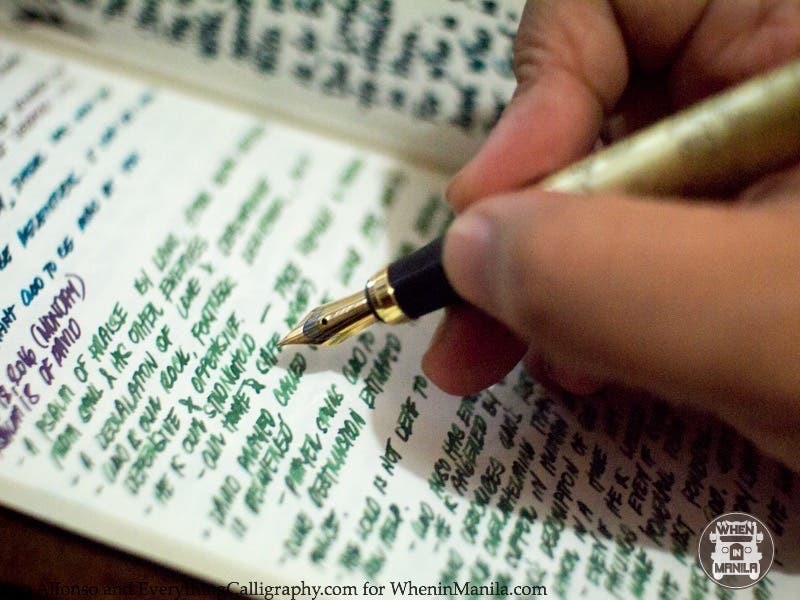 Fountain pens improve your handwriting and give it a distinctive touch. FP users mourn the day the ballpoint pen killed penmanship. Jillian demonstrated to me how a fountain pen adjusts to the individual using it. 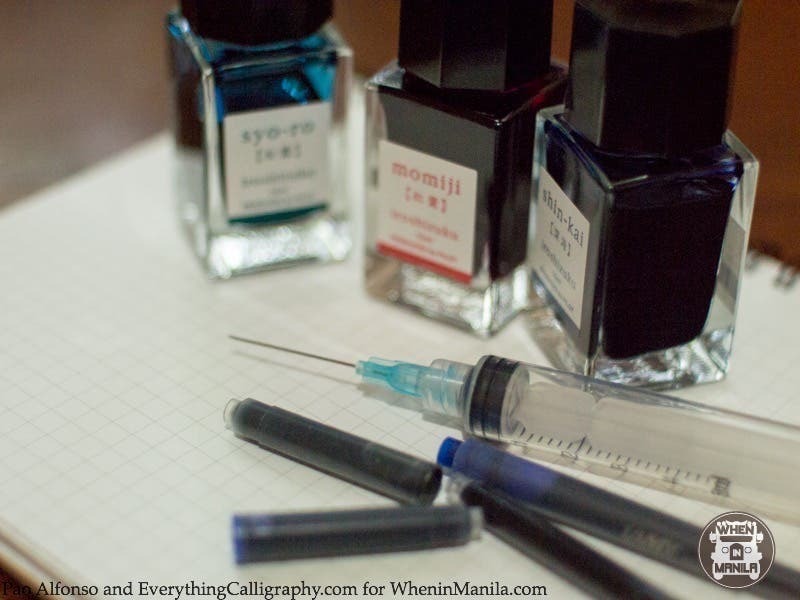 From the choice of ink, the paper, and the nib size, one catches a glimpse of the person writing. A person’s agitation can, for example, be seen in the hard lines on the paper or his or her adventurous nature in the whimsical color of the ink chosen. 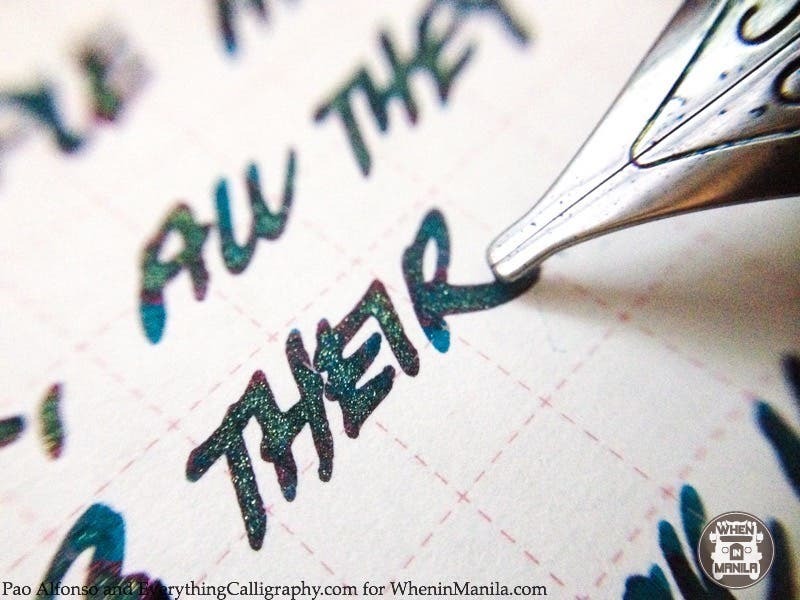 More importantly, writing with a fountain pen forces you to slow down, to admire the slow and steady gradations of ink and the unique sheen of natural pigments mingling. “A ballpoint pen makes all handwriting largely similar while fountain pens allow you to create your own persona. 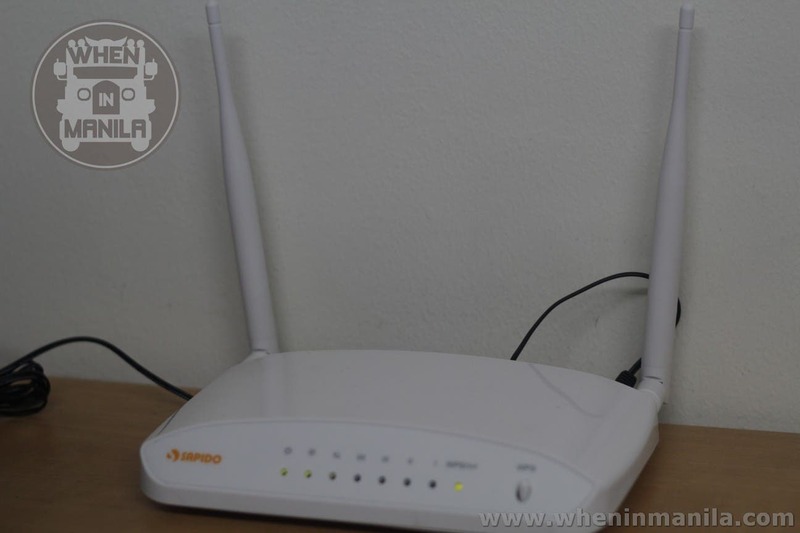 In this globalized world that is becoming more and more homogenous, that is one thing we’ve been increasingly nostalgic for,” Jillian explains. If you’re still unconvinced, we have one last reason for you. 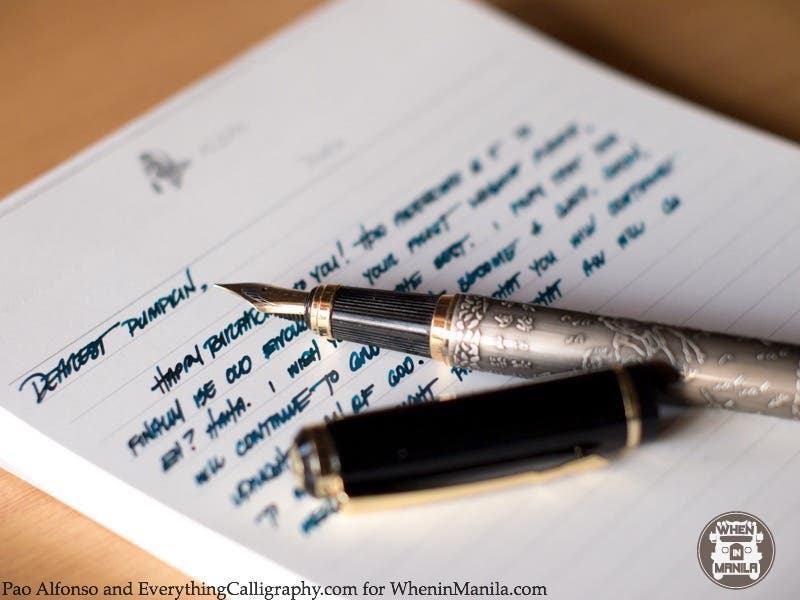 Because EC takes its penmanship advocacy seriously, it’s giving all When in Manila readers 10% off on their first purchase at their store. Just use the promo code WHENINMANILA2016 when you checkout of their online store’s page to avail of this exclusive discount! It’s only valid for one week so take advantage of this offer and make the switch from an ordinary writing life to a fountain pen adventure! 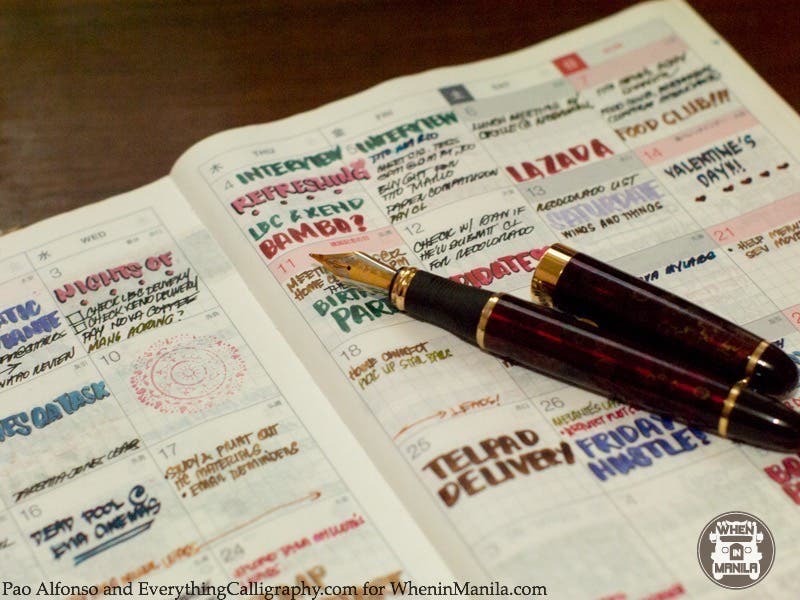 Helen Mary Labao-Barrameda is a fulltime freelancer who likes tech and creative topics. An aspiring novelist, she writes feverishly, often, and everywhere.